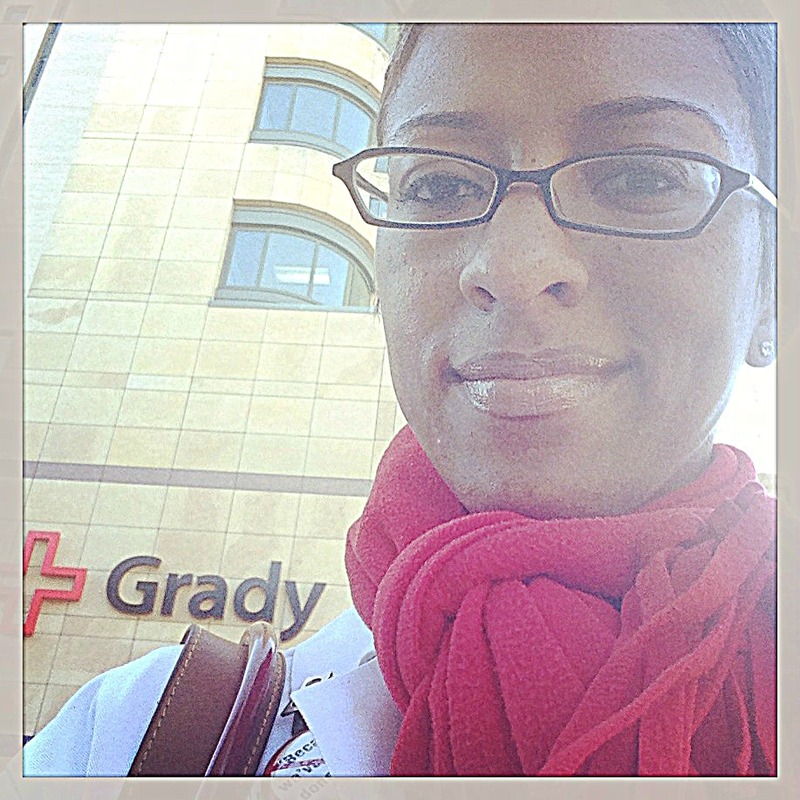 Reflections of a Grady Doctor: You've come a long way, baby. That photo above was taken in the Grady elevator yesterday. Can you believe it? 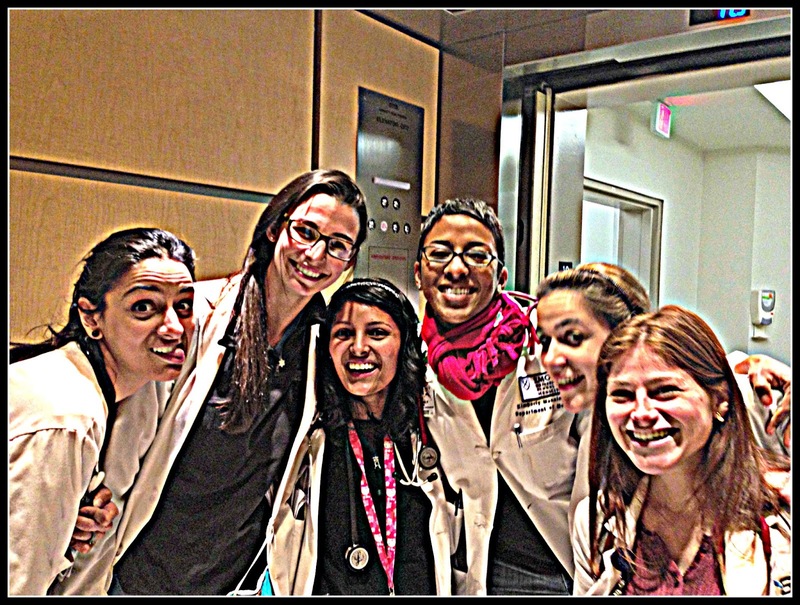 I've got an all girl team this month on the Grady wards! I keep hearing that Beyonce song in my head when we're together. Ha ha ha. Maybe we should bust out in a flash mob version of it on the last day? What do y'all think? Yeah, man. I'm thinking Dr. King would be proud of this team. Or at least hot for it. Gasp! Did I actually say that out loud? Okay. Then act like I didn't. Anyways. I don't have a lot to say at this moment. Instead, I just woke up and went back to my archives to reflect on the things I'd written on prior MLK days. I do have some deep thoughts but it seems like my head isn't organized enough to write them right now. Those posts seemed to say what I am feeling, so there. I thought I'd take you back to them--for those who are new here or simply for a reread if you're one who's been here for a while. Either way, I appreciate you all. But, real talk. . . especially today I'm appreciating the opportunity to be a Grady doctor. Something I couldn't have been had I just been born at the same time that Dr. King was. No black doctors allowed at The Gradys back then, remember? Not even on the "Black Grady" side. Yeah. But I wasn't born when Dr. King was. 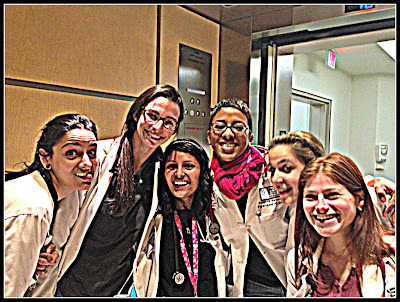 So I get the opportunity to lead a multicultural team of women through the halls of a place that, thanks to the fight of Dr. King and countless others, welcomes us as healthcare providers. I don't take that lightly. Okay. So here's a few things to get you reflecting on MLK Day. I hope it helps to get you in a Martin-state-of-mind today. First, The Tale of Two Gradys. This is arguably one of my favorite posts because it makes me think about what it means to be right here, right now doing what I do. Makes me realize that it's kind of a big deal. Ha ha ha! But at least we tried, man. You can read about that here. And lastly, The Drum Major Instinct. This takes me back to when Poopdeck used to make us listen to Martin Luther King sermons and then write reports on them as punishment once we got older. Now I'm glad that he was crazy enough to make us do that. That's all I've got for now. I hope your day is wonderful and full of grace. Happy Martin-Lutha-da-Kang Day to you all! I am so glad that the inauguration is today. Gives me a more than doubled-chance to think and ponder and be grateful for the changes I've seen in my lifetime. And you're right- Dr. King would certainly appreciate that group of women and that's just the truth. "Appreciate" being used in whatever way you want to use it. And who wouldn't? Y'all are gorgeous and strong and smart and cool. Last night I left the kids with a sitter and went to a concert at the seminary. I came home and my 7 yr old daughter was still awake and wanted to know about the Freedom Concert I had attended. We got to talking about why we celebrate Dr. Martin Luther King, Jr. and she said, "Momma, I really thought we were over all that stuff (she meant racism), but I guess we aren't". I told her that her daddy and I were trying to raise her to not be racist, but that there were many other folks that were and if she wanted to be "over it" then she was welcome to be and she could just set a good example to all. These little minds are the best teachers. Dr. K D, you know the "Drum Major Instinct" is my favorite MLK sermon. I can hear him now saying " everyone likes to be praised, even when they know they don't deserve it". When I first heard the words, I remember thinking to myself, I've heard people say something to the affect "no, you are praising the wrong person!" But I immediately thought to myself, the person still liked hearing the praise, they just opted to come clean. Smile! Everyone should at some point, listen to "The Drum Major Instinct". One of the most brilliant pieces ever written. Love you tons Dr K.D.